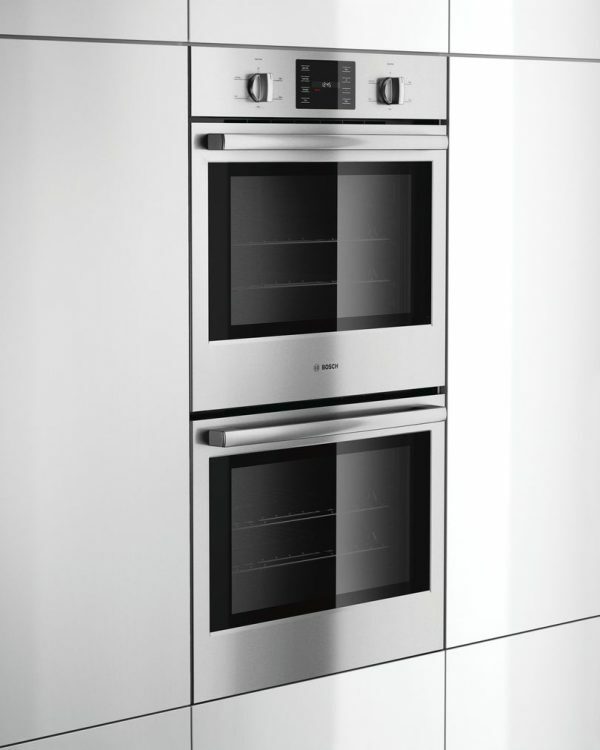 All Bosch wall ovens can be installed flush for a sleek look or proud for a more traditional look. 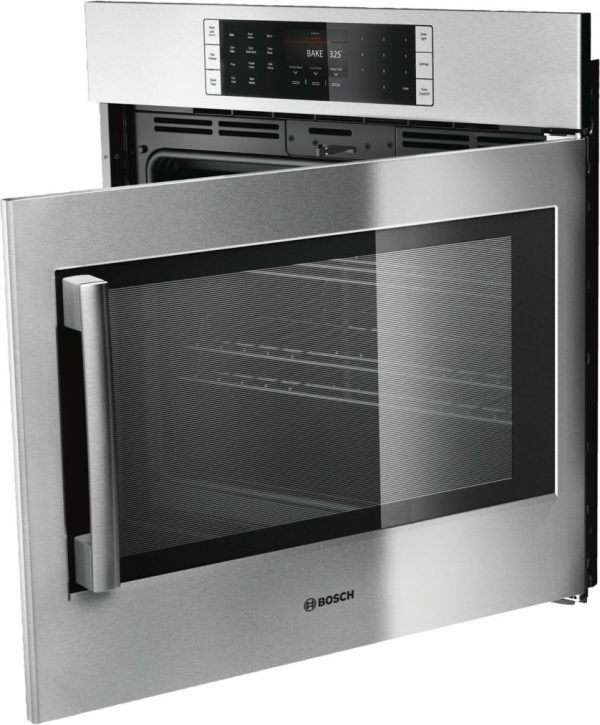 Models with Genuine European Convection provide even baking on all three racks. With an understated, built-in look that makes a timeless statement, the Bosch oven complements your taste in both cooking and design. Designed to Integrate. Built to Perform. Single wall ovens are designed to integrate seamlessly into your kitchen. Install flush for a sleek timeless look or proud for a more traditional look. 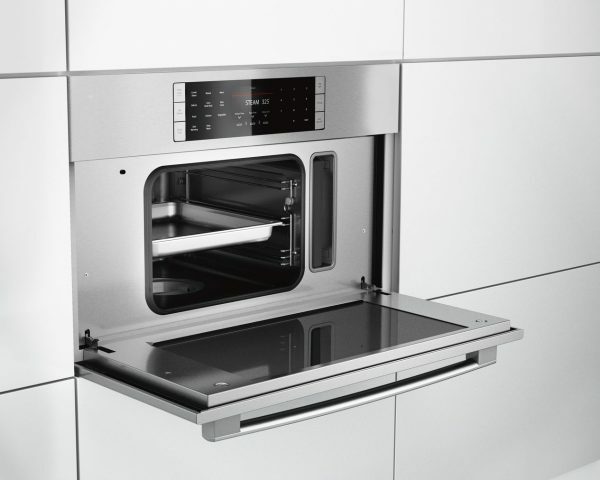 Enjoy premium features like Genuine European Convection for even baking, a QuietClose door that doesn’t slam shut and a full extension rack that allows you to unload the roast with ease. The best recipes, right at your fingertips. Get the most out of your Bosch oven with the Home Connect app. With access to a world of healthy, delicious recipes right on your smartphone or tablet, we make it easier than ever to create delicious and healthy meals right at home. You can even favorite recipes for quicker access. Designed to perform beautifully. Even for a crowd. Double wall ovens let you cook multiple dishes at different temperatures, at the same time, making them ideal for those who love to entertain. 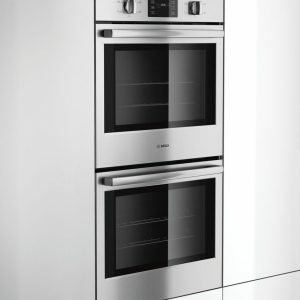 Enjoy premium features like Genuine European Convection for even baking, QuietClose doors that don’t slam shut and a full extension rack that allow you to remove large pans with ease. 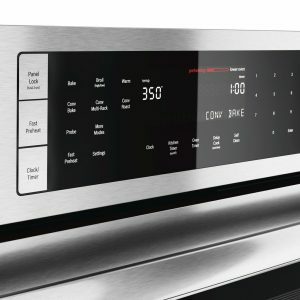 A combination oven creates an all-in-one cooking center with either a speed oven or steam oven on top and a Genuine European Convection single oven below. 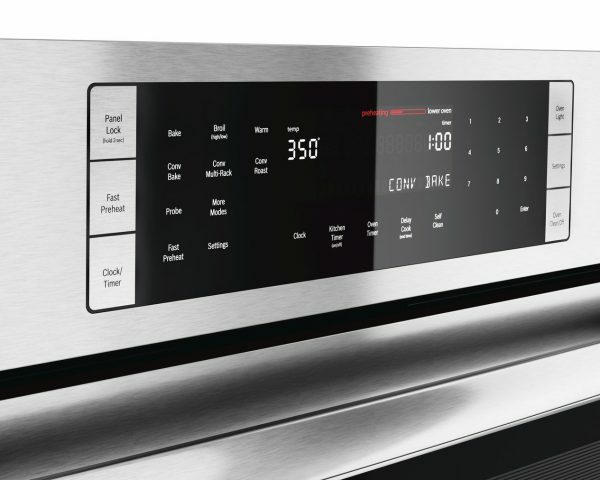 The speed combination oven has 12 microwave programs and 9 SpeedChef speed programs while the steam combination oven prepares dishes that are moist on the inside and crisp on the outside for delectable results. 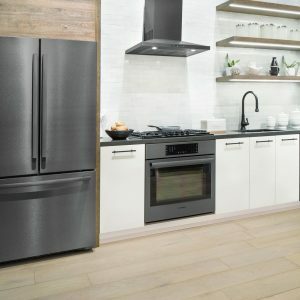 Healthier Cooking Options with a Steam Oven. 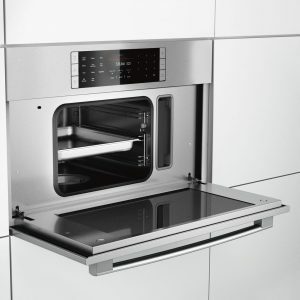 The steam convection oven prepares dishes that are moist on the inside and crisp on the outside. From entrees to desserts, reheating leftovers to steaming your vegetables, you’ll savor the results of steam cooking. 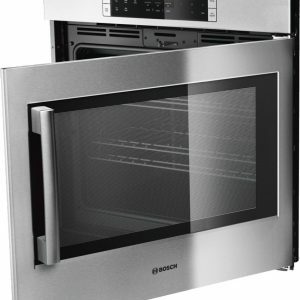 And the Bosch steam convection oven installs flush, for a sleek and sophisticated European look. 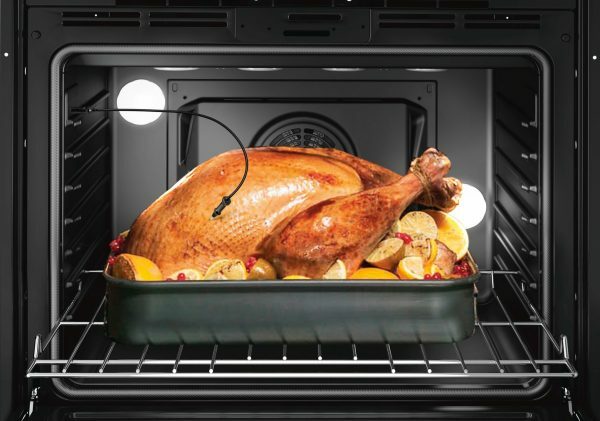 Open your oven a new way. 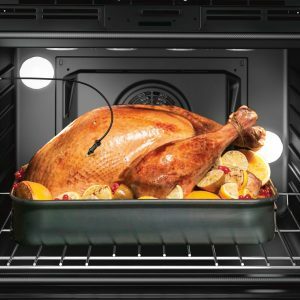 The SideOpening door gives you better access to the oven cavity, allows you to remove heavy dishes effortlessly, and looks beautiful in your home. 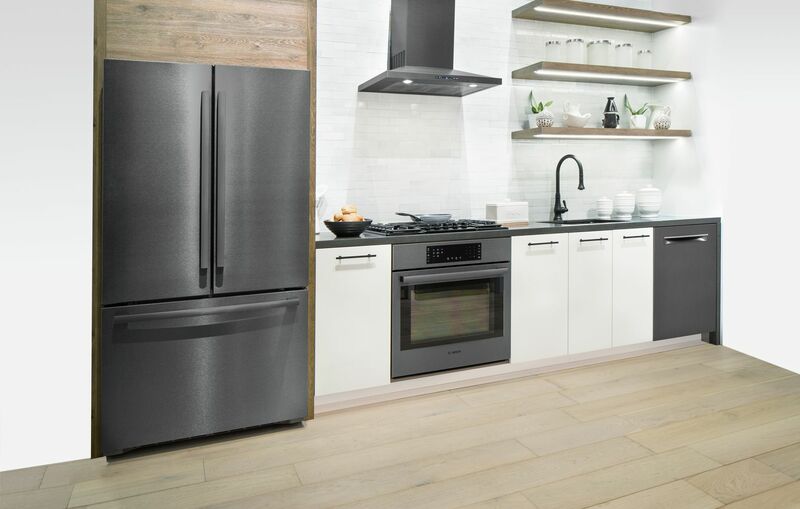 It’s a sleek, European design upgrade that makes your kitchen more ergonomic. No more slamming the oven door. Dampened hinges softly guide the QuietClose door shut. It’s premium engineering that you’ll appreciate each time you close your oven. 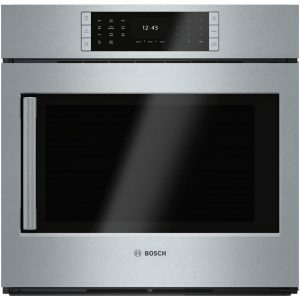 The Bosch wall oven can be installed flush with cabinetry for a seamless, European look or install proud to protrude with cabinetry. It’s installation flexibility to match your design needs.